Through your support, you are helping to reach the lost in hard-to-reach parts of Myanmar. 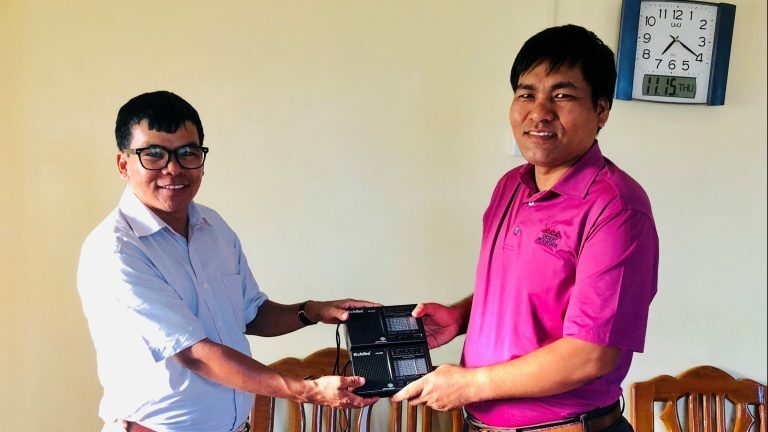 Please click here to read the latest CEO Letter from Dale about how God is changing lives in Myanmar through shortwave radio. “I do not understand what the ‘born again’ really means or how should I live as a Christian. However, by listening to the Hingna Awl radio program I am convinced by the Holy Spirit that I am a sinner and need to accept Jesus as my personal Saviour” – Rosanga, a listener to Reach Beyond’s Matu program. We have the privilege of working with some amazing people. In the picture below, Ps Aung from Myanmar (pictured right) is with Ps Bawi Lu (pictured left), an evangelist who works with Ps Aung. Ps Aung is one of the voices of our Matu programs.